How lighting and furnishings products are benefitting the physical well-being of a home’s inhabitants. In a country where adult obesity rates were nearly 40 percent in 2015-16, the cost of healthcare clocks in at about $10,000 per person, and still, in 2018, more than 133.9 million Americans live in counties with unhealthy levels of air pollution, health and wellness doesn’t seem to be, by the looks of it, at the forefront of concern. However, there’s a counter trend proving just the opposite, and the stats are also telling: Health club memberships have grown 33.6 percent since 2008 according to the International Health, Racquet & Sportsclub Association; the global anti-aging market is expected to reach $331.41 billion by 2021, according to recent research by Orbis; and the cold-pressed juice industry brought in about $492 million worldwide in 2016, according to Persistent Market Research. There’s a rising interest in self-betterment, body and mind, and in tandem comes the idea of buying local, engaging in more sustainable daily practices, limiting screen time and being cognizant of products you bring into your home — lighting and home furnishings included. We’ve reported on the resurgence of locally made product and the strength in this segment — in fact, flip to page 36 to see two interviews on American-made standouts — but sourcing is only one piece of the puzzle. And what about product? Below, we explore how lighting and home furnishings are contributing. Research over recent years has continued to uncover how much of an effect lighting can have on your mood and productivity. “Our findings have shown that pretty low light levels can actually impact circadian rhythm, so we’re working a lot on changing lighting in different spaces to see its effects,” explains Dr. Mariana Figueiro, Director of the Lighting Research Center (LRC) and Professor of Architecture at Rensselaer Polytechnic Institute. A few recent LRC projects have shown just how impactful the correct light can be: Providing Alzheimer’s patients in an assisted living facility with the right light levels showed that if you increase the amount of light and provide more of a blueish-white color temperature, sleep, mood and behavior are positively impacted. Also, a study with General Services Administration showed that those who get a higher amount of light during the day in their offices sleep better at night. In recent developments, the LRC and Underwriters Laboratories are working to develop a recommended practice for the specification, measurement and application of lighting to support circadian entrainment of individuals in daytime work environments. Mark S. Rea, Professor of Architecture and Cognitive Sciences at LRC, is chairing the group. The target date for publication of the recommended practice is May 2019. At the Showtime Fabric Fair in early June, we got news of the new-to-market Celliant woven fabric from Decorative Fabrics of America (DFA) — a product that, at that point, was not even introduced and was already set to turn the performance fabric game on its head. The first-to-market distributor of the fabric, CF Stinson, debuted a collection at June’s NeoCon show in Chicago, and the buzz has only grown. This responsive woven textile incorporates proprietary infrared fiber technology that promotes more energy and less fatigue while sitting. Celliant is based on three fundamental scientific principles: Your body emits heat; certain naturally occurring minerals absorb heat and emit infrared energy. The infrared energy is recycled back into the skin and tissue, improving circulation and increasing tissue oxygen levels in a safe and natural way. The benefits of Celliant apply to any residential or commercial interior where sitting is part of the experience. Tangible effects from the fabric woven using Celliant technology are increased strength, more energy, better endurance, and quicker recovery time. This technology is not topical, so effectiveness does not dwindle or wear off, and as long as the user is within one inch of the fabric, it will perform. In fact, the FDA has approved Celliant as a “medical device,” considering it a general wellness product. Celliant woven fabric is available in any color palette the customer wants, and pricing is affordable — slightly above that of polyester — according to Bob McKinnon, President of Decorative Fabrics of America. Nicole Casey, the textile’s designer and Principle of Casey Design LLC — who about eight years ago went on a search for something truly innovative after a NeoCon show when she just couldn’t stomach a new color being the most innovative thing on the block anymore — started researching and came across this fiber being used in veterinary, namely on horses’ legs and under saddle pads to promote healing. She contacted the manufacturer and started commission weaving the fiber with the concept that she could develop something for residential and commercial product applications that would “give back” to the end user. It took 7.5 years and 20+ pitches, but Casey finally met McKinnon, who believed in the product and partnered her concept with DFA’s manufacturing ability. “Imagine a 70-year-old couple who goes and lays out on the couch or sits in a chair after dinner and watches a program on TV — think about how much of an uplift this will give them, just sitting in a chair or sofa upholstered in this fabric,” McKinnon says. At press time, McKinnon and Casey were on somewhat of an educational tour as they’re calling it, spreading the word to potential customers about the benefits of the Celliant woven product. They both say that they’re almost always met with skepticism at the outset, then after they start showing the metrics and testing behind the fabric, the conversation opens up. By the end, they’re developing product with those across the table. “The firm who stands by the Celliant product has done a lot of research and produced a lot of supporting documentation from a clinical perspective, which helps tremendously in convincing someone of its validity,” Casey explains. Casey and McKinnon’s plan is to go “deep and wide” with Celliant fabric and make it a name that’s recognized throughout the industry. Under Armour should help them with that goal, as the multimillion dollar performance apparel and footwear company just committed to seven seasons of a lifestyle/apparel brand with Celliant backed by New England Patriots quarterback Tom Brady. Just before press time, DFA had perfected and tested an interlayer barrier that can be placed under other upholstery fabrics that will also have the same effect as sitting directly on Celliant woven textiles — even under leather and vinyl. McKinnon says phase three of the product is in the works now, but his lips are sealed for a little while longer. What — or who? — is leading the health and wellness charge? If your guess is the generation that spends their money on avocado toast, you’d be correct. Millennials as a whole view wellness as a lifestyle choice and daily activity. In fact, according to a recent Yahoo Health study, 53 percent of Millennials value health and wellness above work, spirituality and friends. It goes beyond diet and exercise though, as these 20- and 30-somethings are looking for ways to integrate healthier habits into all aspects of their lives, including at home. The maker movement and the push to “buy local” that we mentioned has Millennial written all over it, plus, we know from the Year of the Smart Home Part 1 that according to experts, smart technology will be an “absolute expectation” when Millennials go to buy a home in the next decade. Manufacturers, retailers and designers have an opportunity to appeal to Millennials’ desire for better health with the products they create and sell. 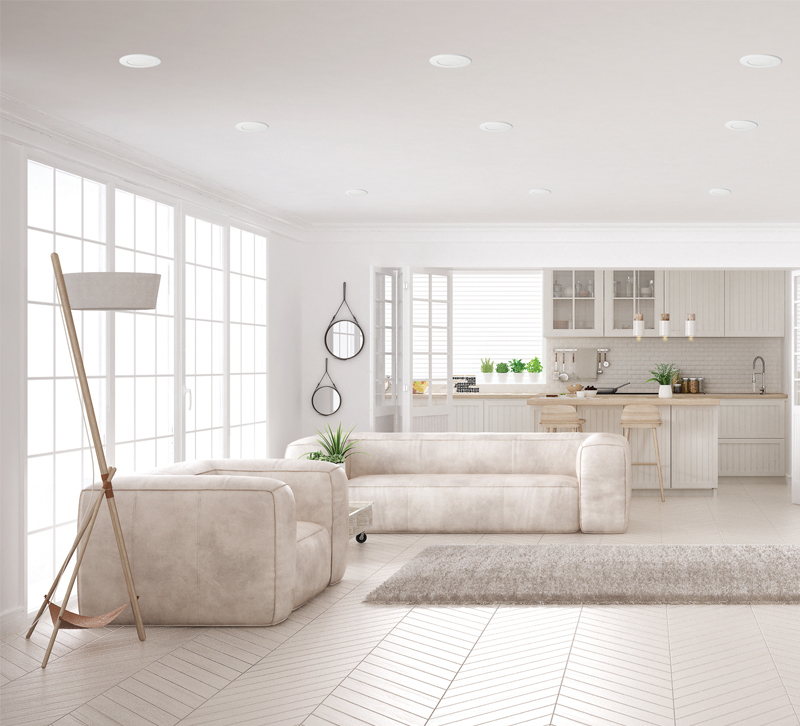 And don’t count out other generations either — particularly Boomers — as products like smart and health-focused lighting and Celliant fabric have the capability to truly impact their quality of life as they age.